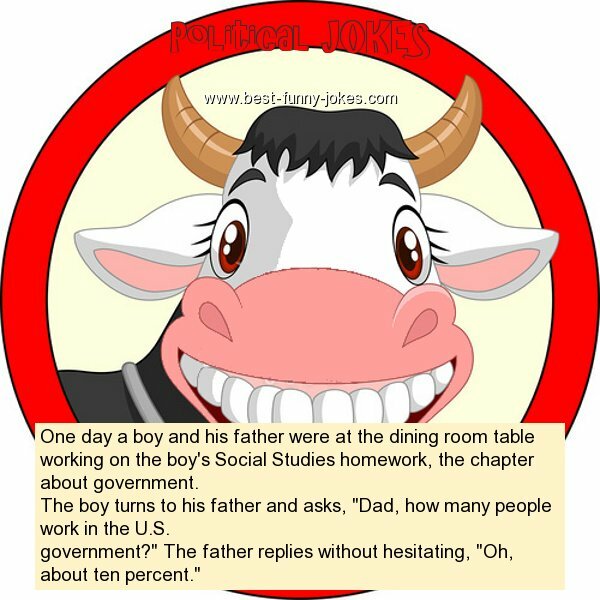 One day a boy and his father were at the dining room table working on the boy's Social Studies homework, the chapter about government. The boy turns to his father and asks, "Dad, how many people work in the U.S. government?" The father replies without hesitating, "Oh, about ten percent."